Choose from thousands of amazing apps, games and more. 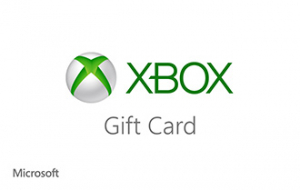 Xbox and Windows Store gift cards are a great gift option for friends and family and the perfect choice as pocket money or the occasional present for your kids.Xbox and Windows Store gift cards work the same way across participating stores. Give an Xbox gift card to a gamer or entertainment fan and a Windows Store gift card to friends who have a Windows Phone 8 or a Windows 8.1 tablet or PC. Once the card is redeemed to a Microsoft account, the money can be used to buy apps, games and more at the Windows, Windows Phone and selected Xbox stores.